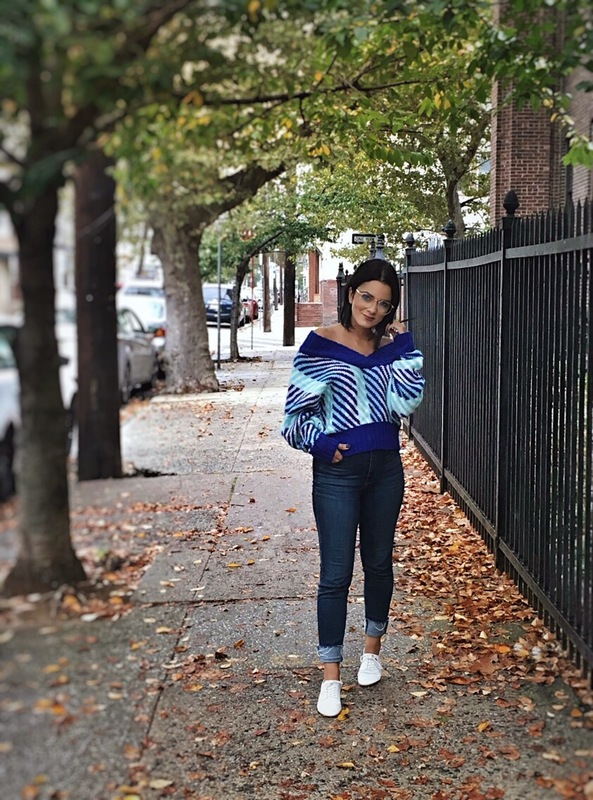 It’s sweater weather….well, at least every other day it has been. 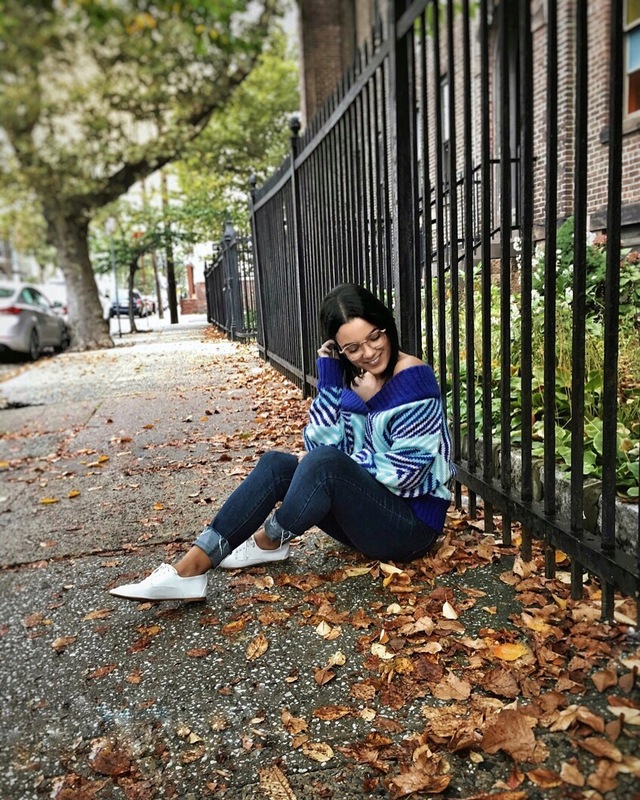 On my previous post Fall Wishlist feat Rosegal , I shared some fall items I was lusting over on Rosegal, and today I’m sharing my overall review of what I purchased. I decided to go for sweaters because it’s what I look forward to wearing most this time of year. There were so many choices from over-sized, to short sleeved sweaters, and basics we all probably have like turtlenecks and black cropped sweaters. I decided to step out of the box for my choices because I have enough basic and neutral sweaters in my wardrobe. 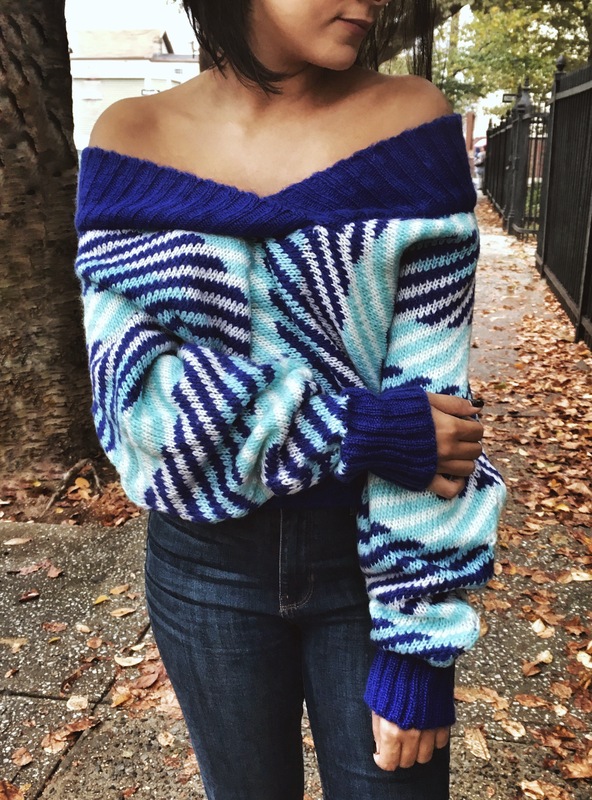 The first sweater I fell in love with was this off the shoulder sweater. This is not a color scheme I would usually go for, but I loved how unique it was. I also love the big batwing sleeves because they are super over-sized and cozy. The argyle print was giving me stylish school girl vibes, so I decided to wear it with white oxfords and gold frames to keep the theme going. I’d also wear this with just black jeans and black booties and let the sweater be the only pop of color. 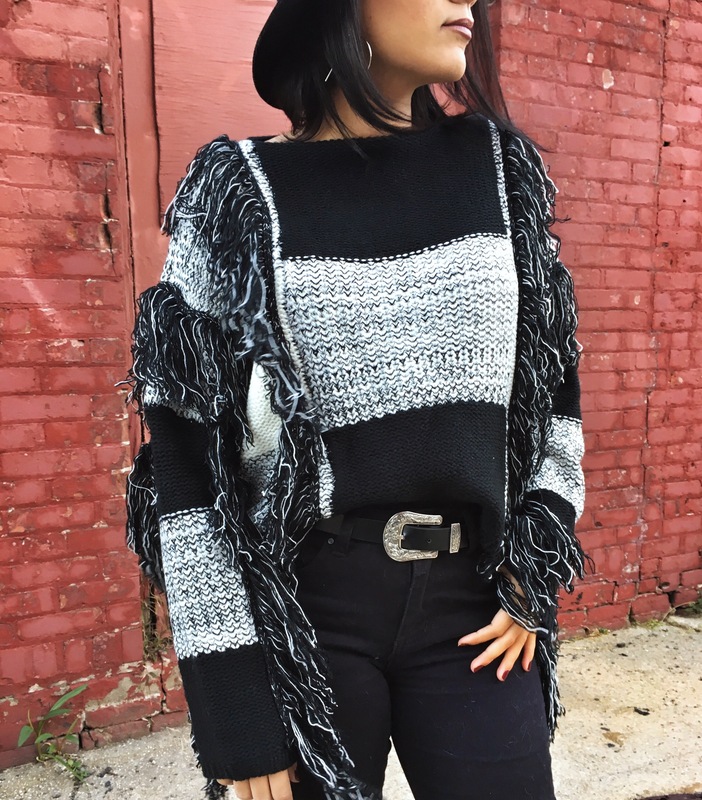 The second sweater I chose was this fringed sweater. The colors on this are about the only thing that’s common for me, since I stick to neutrals, but the fringe was very different for me. 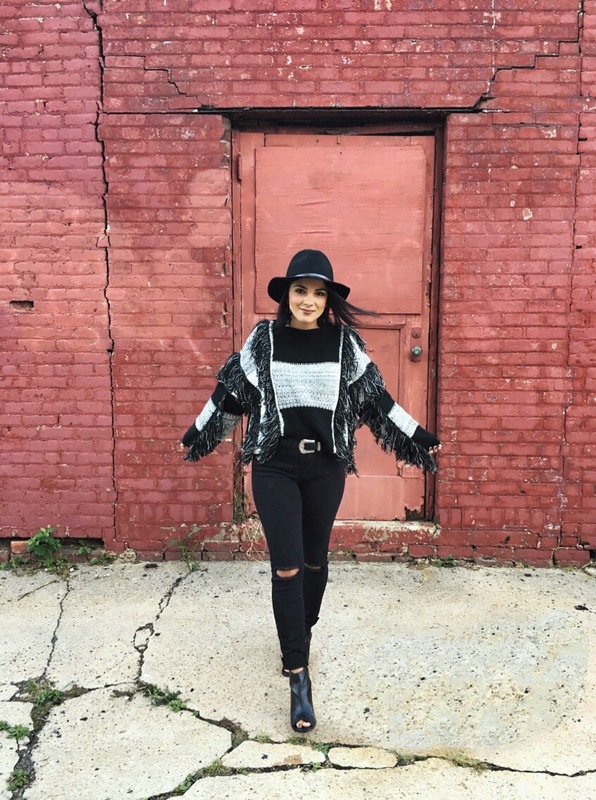 I knew I wanted to keep the rest of the look pretty simple, so I threw on my favorite black jeans. I did add a hat and western belt to make the look a little more boho. I also purchased these awesome resin-earrings for under $2 and have been wearing them a ton! I’m super happy with the items I got, and pleasantly surprised at how great the quality is for the price. The sweaters are soft and warm, and they don’t have that weird chemical smell that sometimes clothes seem to have when you purchase from other sites based in Korea/China. I definitely recommend you check out rosegal.com and see what treasures you find for yourself! If you prefer faster shipping (Korean sites can sometimes take 3 weeks time), be sure to sort your search to show you only items that offer priority shipping.